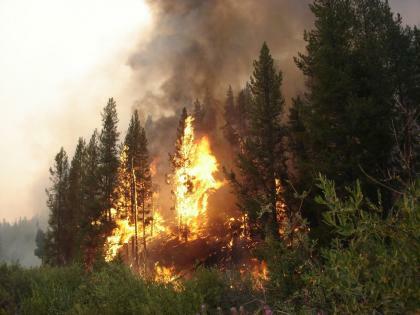 Idaho Fires: Fire Near Tamarack Grows, Crews Get Handle on Fire Near Ketchum. By Courtney Lowery. New West. Tamarack is a relatively new, posh, ski area and real estate development west of Cascade and McCall, Idaho. Note: the huge East Fork and Cascade fire complexes are east of Cascade and McCall. More on Idaho fires . . . as expected Labor Day was a bad on in much of the East Fork fire Complex. Here are the details from inciweb. a friend jumped grays creek. apparently it started in the brush moved 13 miles in a very short time ~ now it’s in the timber. people were parked up on Mesa hill looking down at the whole fire still moving northeast ~ straight for tamarack. Just about 21,000 acres as of 08:00 this A.M. Goin crazy again today.